The West Midlands has benefitted from more EU spending than the average European region since the onset of recession. 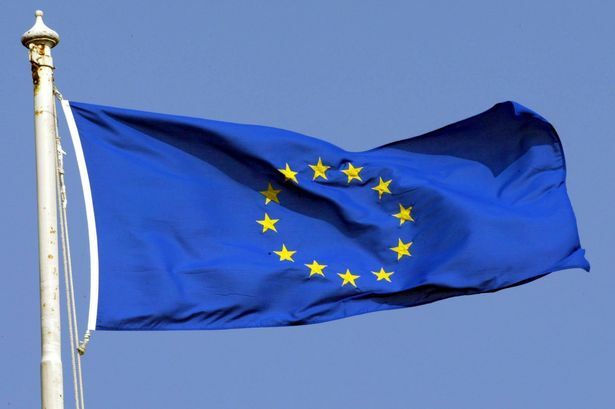 An analysis of European Union Structural Funds data by the Birmingham Mail has revealed the amount of money that each region of the country received from Brussels between 2007 and 2013. During this period, the West Midlands received £239.5 million in European Social Fund grants and £315.9 million in European Regional Development Fund grants. The combined total of these two figures is the equivalent of £98 per head – compared to £82 per head received by the average EU region. City MP Steve McCabe (Lab Selly Oak) said: “I think Birmingham has is a beneficiary of European Union membership. Things like Symphony Hall, the Convention Centre and Centenary Square without EU support and of course our universities gain massively out of funding coming out of the European Union. The purpose of the European Social Fund (ESF) is to promote high levels of employment and to try to level the playing-field for children from more disadvantaged regions when it comes to education and access to work. Under the ESF the EU contributes money towards projects which is then matched by a co-funding organisation. The Department for Work and Pensions (DWP) and the Skills Funding Agency (SFA) are the two biggest co-funding organisations in England. On top of the £239.5 million the West Midlands received from the ESF fund the region also benefitted from £381 million in match funding from co-funders including £204 million from the DWP and £166 million from the SFA. Among the biggest ESF projects in the region have been nearly £10 million towards redundancy redeployment and funds for business centres. City MP Gisela Stuart (Lab Edgbaston), who heads up the Vote Leave campaign, said: “For every £2 we pay to Brussels, we get £1 back but we get it back in a way that Brussels determines how we spend it. Cornwall and the Isle of Scilly has received the most money per head out of these three special areas with the equivalent of £259 each in European Social Funding compared to the national average of £41. The South East of England received the least amount of money per head for any English region at just £25 across the two funds between 2007-2013. This includes just £2 per head in ERDF money. Details around the next phase of EU structural funds, covering 2014 to 2020, have not yet been released.